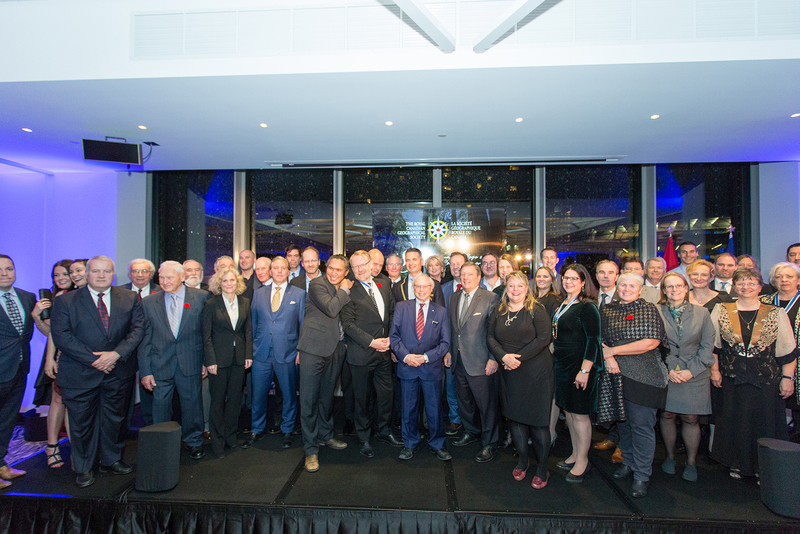 The vibe was electric as more than 500 people gathered inside the newly-renovated National Arts Centre in Ottawa November 1 to celebrate what will be remembered as a milestone year for The Royal Canadian Geographical Society. 2018 saw the Society move into a historic new headquarters in the political and ceremonial heart of Ottawa on Sussex Drive; complete work on a groundbreaking educational resource in partnership with First Nations, Métis and Inuit organizations; and take part in the recommissioning of the RCGS Resolute, the first vessel to be flagged “Royal Canadian Geographical Ship.” With all that and more going on, it’s no wonder attendance at this year’s College of Fellows Dinner was the highest ever. Prominent guests included the Right Honourable David Johnston, former Governor General of Canada and his wife Sharon; Her Excellency Anne Kari Hansen Ovind, Ambassador of Norway to Canada; actor Jared Harris of Mad Men and The Crown fame; Dr. Philip Hatfield, head of the Eccles Centre for American Studies; underwater explorer Dr. Joe MacInnis; artist Chris Cran; and mountaineer Charles “Chic” Scott. Read on for some of the highlights from the evening. The addition of 85 Fellows in 2018 brings the total number of Fellows to more than 1,000 for the first time in the Society’s history. Among the distinguished individuals joining the ranks this year are former Deputy Prime Minister of Canada John Manley, explorer and writer Jeff Fuchs, documentary filmmaker Brandy Yanchyk, artist David McEown, wildlife photographer Todd Mintz and curator and polar historian Claire Warrior. 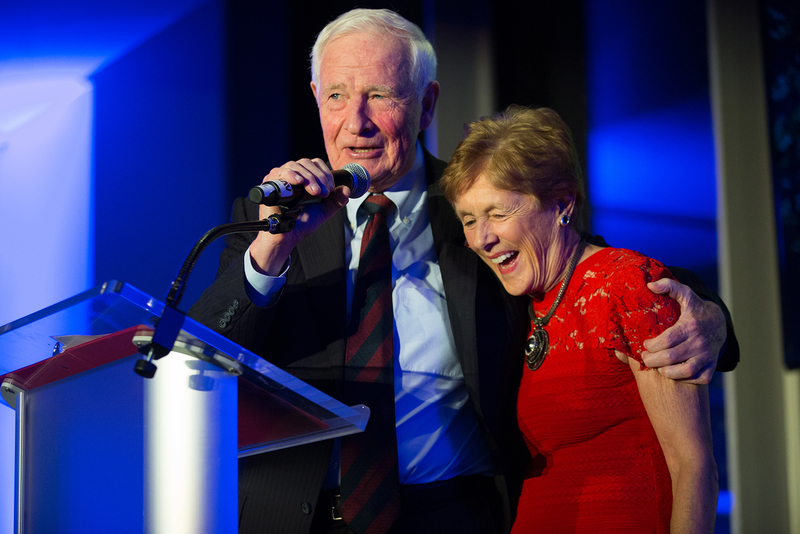 A newly-minted Honourary Vice-President of the Society, Dr. Joe MacInnis deserves to be a household name. He is credited with discovering the remains of the HMS Breadalbane wreck off Beechey Island, and was one of the first people to dive on the Titanic. He has also designed and lived in undersea habitats, but those who have worked with him say his greatest legacy is his mentorship of other explorers. Another explorer who has been profoundly influenced by MacInnis? Director James Cameron, who paid tribute to his mentor in a video. This year, the RCGS introduced a new award, the Louie Kamookak Medal, in memory of the Inuit oral historian and Honourary Vice-President of the Society, who passed away in March. 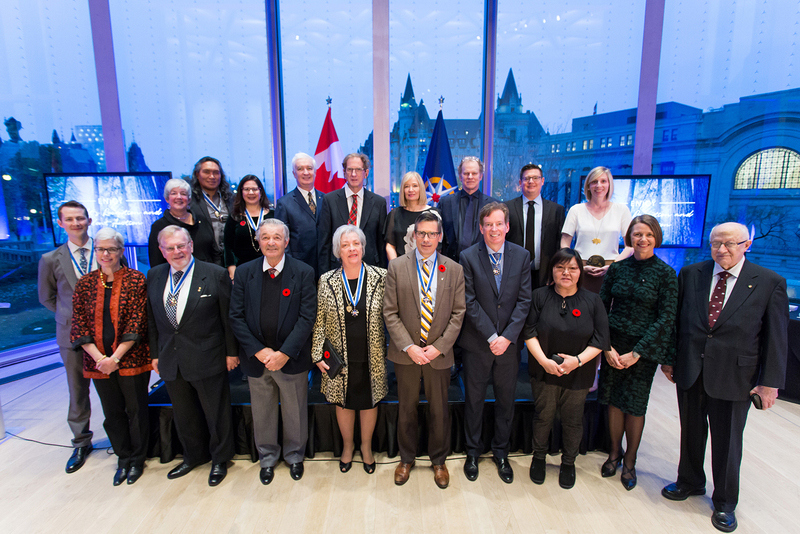 The medal recognizes a person, organization or significant deed that has helped make Canada’s geography better known to Canadians and the world. Inaugural recipients include Kamookak’s wife, Josephine, who was “both his partner in life and in his life’s work completing and retelling the stories of the central Arctic,” according to RCGS CEO John Geiger. 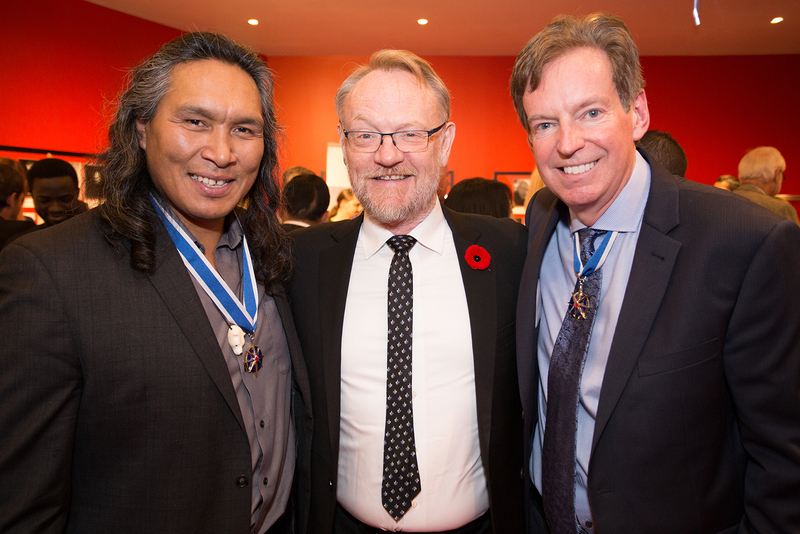 A Kamookak Medal was also presented to an individual who helped bring those stories to life for a global audience: actor Jared Harris, who starred in the AMC original series The Terror. Along with a cave diver, a storm chaser, a trans-Atlantic rower and an Arctic trekker, the RCGS can now count an ultramarathoner among its Explorers-in-Residence. 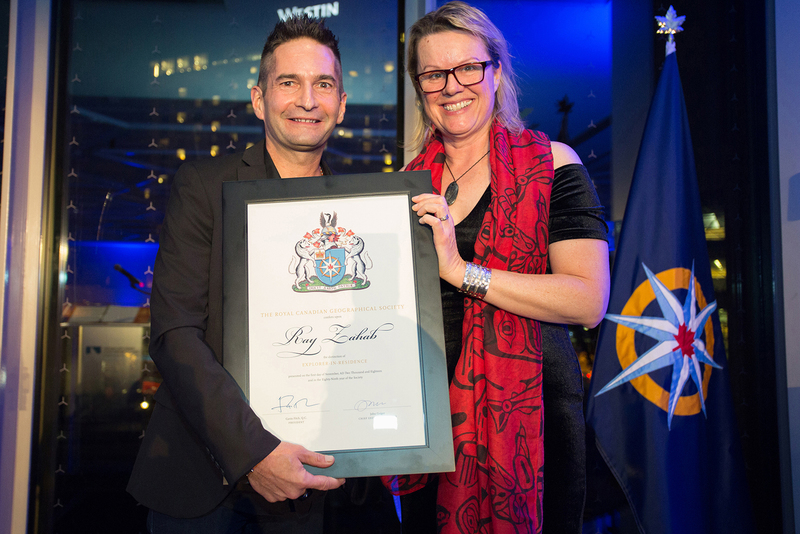 Ray Zahab has run thousands of kilometres across some of the most extreme landscapes on the planet, including the Gobi Desert, California’s Death Valley, and even the Antarctic continent. Through his registered charity, Impossible2Possible, he organizes and funds educational expeditions for young people from around the world. “Ray has hit on a formula for harnessing the power of exploration and adventure as a way of educating upcoming generations and truly changing lives,” said Explorer-in-Residence Jill Heinerth. The Indigenous Peoples Atlas of Canada, completed this year, was the most ambitious project the RCGS has ever undertaken — a first-of-its-kind educational resource that explores the stories, histories and perspectives of First Nations, Métis and Inuit in Canada. 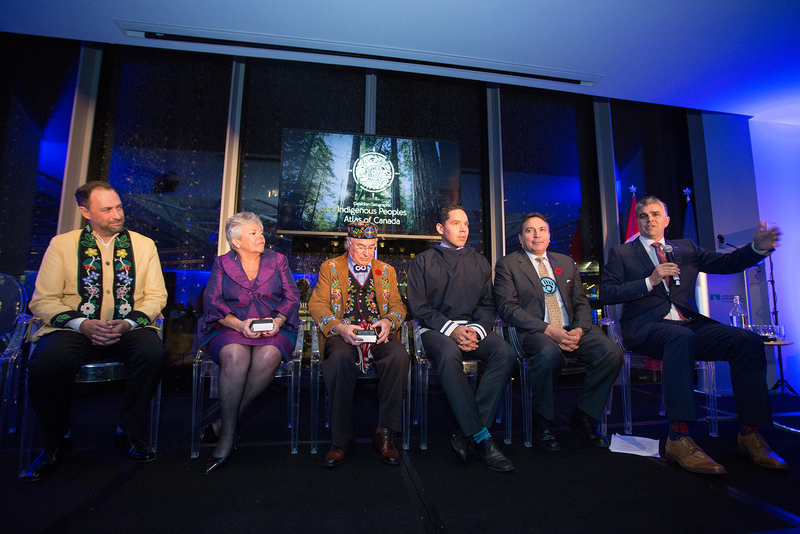 The leaders of the five Indigenous partner organizations that led the development of the Atlas — Assembly of First Nations National Chief Perry Bellegarde; Métis National Council President Clément Chartier; Inuit Tapiriit Kanatami President Natan Obed; Indspire president and CEO Roberta Jamieson; and director of the National Centre for Truth and Reconciliation, Ry Moran — were each presented with the Society’s Gold Medal, and participated in a panel discussion moderated by David Gray, host of the CBC Radio morning show The Calgary Eyeopener. Each of the leaders reflected on the importance of telling the story of Canada through an Indigenous lens. 2018 marked one year since the Great Trail became fully connected from coast to coast to coast. To honour that achievement, four individuals accepted the Society’s Gold Medal on behalf of the entire Trans Canada Trail organization and its cross-country network of volunteers, donors and Champions: Deborah Apps, the president and CEO of the Trans Canada Trail; Valerie Pringle, a member of the trail’s board of directors and the co-chair of the Trans Canada Trail Foundation; Hartley Richardson, her fellow co-chair; and Dr. Pierre Camu, a founding member of the Trail. Of course, connected doesn’t mean complete, and work has already begun on making the Trail even better and more accessible.